What Story is Your Documentation Telling? Take a Look from the OIG Perspective! Once again this year, the Chiropractic profession has found itself in the OIG’s (Office of Inspector General) negative spotlight. According to their records, Medicare has paid out more than $450 million per year for chiropractic services since 2010. Of this number, based on their extrapolated estimates, between $257 million - $304 million per year of this total dollar figure are identified as overpayments. That’s a whole lot of moolah! No wonder they have a bee in their bonnet. Services billed using the incorrect procedure code per Medicare billing guidelines for covered services—let’s be honest, there are only three! So this means coding differently from what your documentation reports. Evidence of chiropractic treatment is not documented at all—in one study, 52% of the requests for records went unanswered…leaving them to assume there was no documentation at all. Chiropractic treatment and medical necessity is insufficiently documented per documentation standards—which standards are clearly outlined for the profession. Importantly, these statistics and details recently reported in 2018 by the OIG are not brand-new information for us. Each year, for the past several years, similar or identical findings and statistics continue to be publicized along with recommendations for CMS to combat these excessive overpayments. However, this year the OIG is taking a stronger position with their recommendations and encouragement for appropriate review, audit, enforcement and overall combat to prevent, find, and recapture these overpaid funds. What this means is that the Medicare program is feeling a bit of extra heat coming down from the OIG to take a more proactive and aggressive approach with our profession moving forward. To understand fully the significance of this information, it is critical to know that while the OIG provides statistics, support, information and recommendations to CMS, the OIG is also an extremely valuable resource to all third-party payors. There is an old saying, “Where Medicare goes, the world will follow”, and how true it really is. 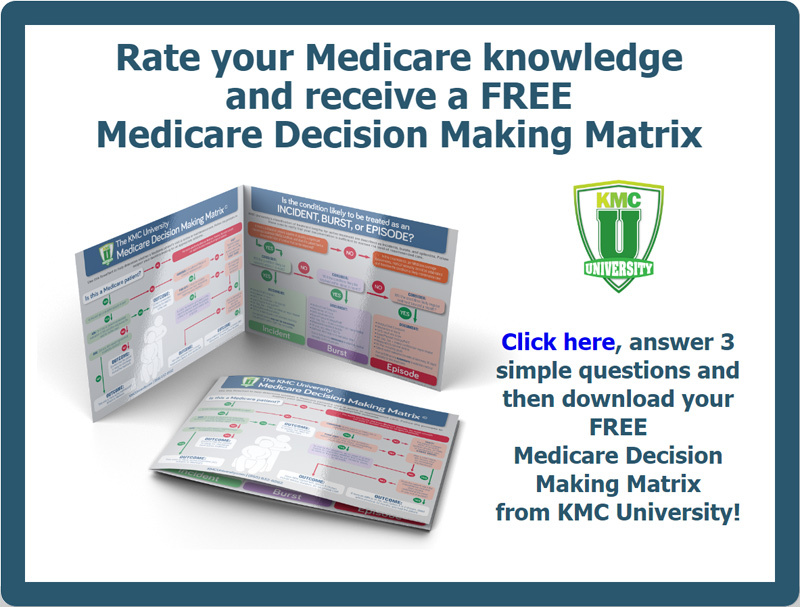 The Medicare program and related guidelines serve as the foundation for regulations and policies for other payors across the country. Evidence of “Fraud, Waste and Abuse”, resulting in excessive overpayments, is absolutely turning the heads of all third-party payors out there. We fully expect to see an increase in the scrutiny of provider billing and documentation and thus, an increase of audits and payment recoupments. So, what does it boil down to? Documentation absolutely must tell the same story as your claim forms, and of course, be consistent with documentation standards and payor guidelines. Further, the lack of documentation and in many cases, the absence of documentation at all, is not only a significant area of risk for chiropractors but is also immediately and easily fixable or preventable. There is no better time than right now to put your own documentation under the magnifying glass and make sure you have confidence in your paperwork and documentation protocols. Start by refreshing your paperwork so as to ensure you have the most up to date, comprehensive and compliant note taking systems available. Protect your practice and take a look at the chiropractic paperwork system for solid and efficient documentation!